We “Jogi Gems” are Fancy shape diamond manufacturer and exporting high-quality array of Antique Cut Diamonds,Rustic diamond, fancy shape with fancy colour ,rose cut diamonds,solitaire,Polki diamond slice,Black Diamond, Diamond Beads (strands).Since our establishment in 2000 at Surat (Gujarat, India), we have been able to meet customer’s varied needs by providing products that are widely appreciated for their glossy finish, long lasting sheen, elegant look and durability. Under the strict direction of “Ms. Snehal Rupareliya" (Partner), we have achieved an alleged name in the industry. Jogi Gems is one of the leading exporters of various kinds of diamonds holding the main market in the countries like United States, Europe, Australia and Asia as a whole. Jogi Gems is highly focused on “THE PRODUCE QUALITY” and “OUTSTANDING SERVICES” to the customer’s worldwide. Jogi Gems takes great pride in its rich heritage and outstanding reputation with the combination of all its positive and hard work to achieve success. Jogi Gems is a promising company with Quality diamond and reasonable price that guishes this company from competition in the consumer market. Jogi Gems are leading natural loose diamonds manufacturer & jeweler based in India. Where you discover the large variety of natural diamonds in finest quality direct from our cutting and polishing diamond. We are making Natural diamonds and fine jewelry for almost 100 years. we do diamond manufacturing, importing, & exporting primarily based in Surat (world’s diamond cutting and polishing hub), India. Our producing facility is equipped with finest quality Artisans, technology, and latest machinery. we’ve got enormous Stock Natural diamonds, diamond beads, a form of fancy diamonds and unique 3000 styles in fine jewelry. All diamonds we deal in are 100% Natural and KPCS compliant. Any customer who buys from our company is going to be covered under 30-day money back guarantee and 45 days PayPal customer protection so that they have no risk associated with dealing with us. 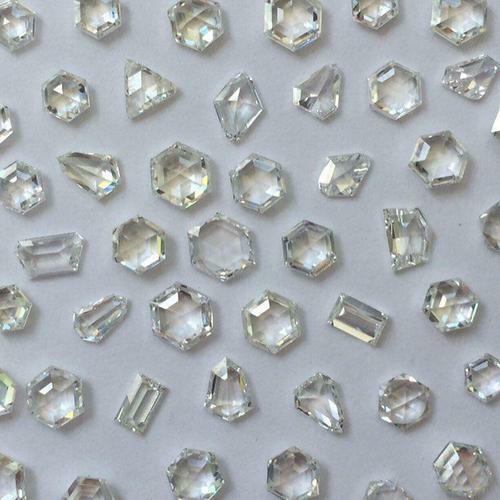 We are glad to produce natural polished diamonds in a wide variety of white loose diamonds, colored diamonds, color diamonds, fancy cut diamonds, rose cut diamonds, icy diamonds, raw uncut diamonds, diamonds beads, diamond bead jewelry, industrial diamonds and fine jewelry at an unbeatable price. Our products and its quality have earned us the tags of a quality diamond manufacturer, fancy black diamonds manufacturer, silver and gold jewelry manufacturer. Our sheer commitment to quality, value and prompt client service has enabled us to retain 100% client satisfaction level within the natural diamond and fine jewelry community. Our sheer commitment to quality, value and prompt client service has enabled us to retain 100% client satisfaction level within the natural diamond and fine jewelry community.The excellent quality of our natural diamonds has earned us wide appreciation from clients across the globe. We already provide our diamonds and jewelry to with more than twenty-five countries and regions like Switzerland, USA, UK, Russian Federation, Australia, European union, Thailand, Romania, Japan, U.A.E and many other countries.